This versatile, bi-colored belt can be worn two ways. One side features a precisely scored intrecciato pattern created by a complex, process in which the leather is brushed to reveal metallic accents; the reverse features smooth calfskin. All the edges are hand-painted black, and seams match the tone of the leather. Colors may vary slightly due to the silver brushing that is done entirely by hand. 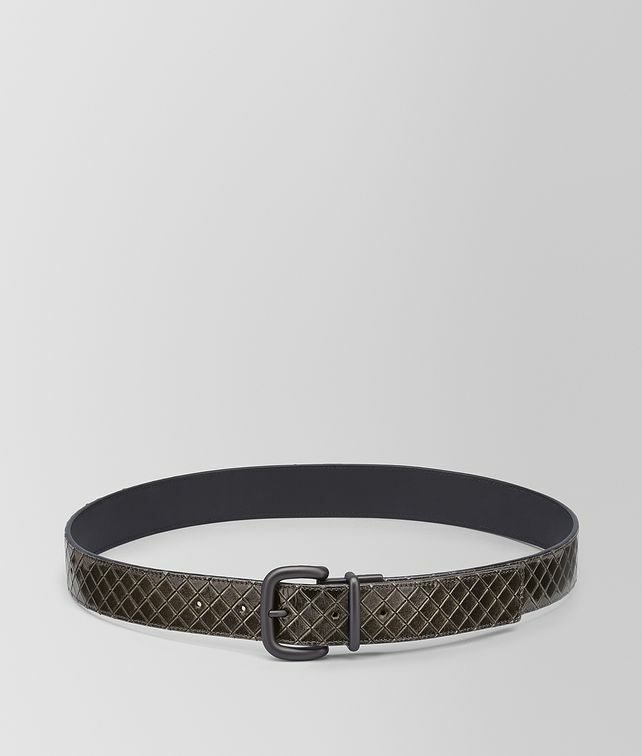 The Bottega Veneta logo is featured inside the buckle.